Cart Ships FREE to U.S.
Why Use a Kayak Cart? Getting your kayak from truck to water alone can be difficult at times. Now, no more carrying heavy kayaks to the water. Instead of multiple trips, first with the kayak and then gear, now you can load the kayak along with the gear and pull it to the water using the C-Tug! This is a much easier way. Also, no more dragging your kayak across cement or gravel. The scratches left on the bottom can be heart breaking on a new kayak. The C-Tug eliminates this damage and makes it so much easier! 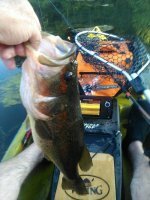 Kayak fishing is the fastest growing fishing sport. We are on the Gulf and Oceans, lakes and rivers around the world. Accessing these places is not always easy. The Kayak Cart is truly a back saver and an essential item if you need to move your kayak over ground from your vehicle to the water. Kayak fishermen have an advantage other fishermen can only dream about. Because of the extreme portability of kayaks we can access lakes and rivers that are impossible for boat and trailers. However, kayaks can be heavy if you have to lift them yourself and carry them any distance. Some of the larger peddle driven kayaks are well over 100 lbs. But even smaller kayaks are 65 lbs to 85 lbs. This is where the kayak trolley comes in. It takes about a minute or so to assemble the cart, place the kayak on the cart and strap it down. With the C-Tug placed near the stern of the kayak all that is needed is to pick up the front end of the kayak by the kayak's handle and pull. 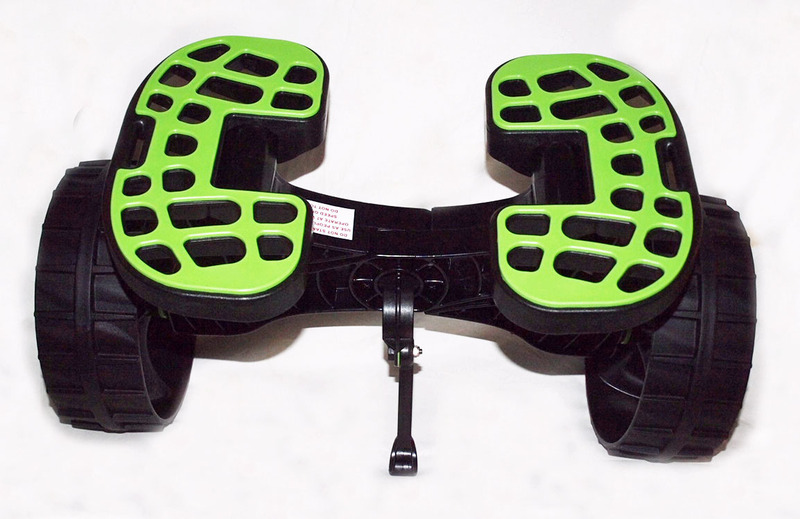 The C-Tug seat pads easily adjust to any cart hull configuration. The cart will work on over 90% of the kayaks currently in use. The pads grip well and form to the angle of the kayak bottom. This includes Wilderness Systems, Viking Kayaks, Perception Kayak, Old Town, and many, many more. The only exceptions to the hull configuration may be with some of the Hobie Kayaks. Some C-Tug users say it doesn't quite sit perfectly on the larger Hobie's. But Hobie makes their own cart which is specifically designed for their hull configuration. Having a kayak cart gives you the freedom to transport your kayak over longer distances without injury, losing gear, or straining your muscles or back. Plus it looks cool. 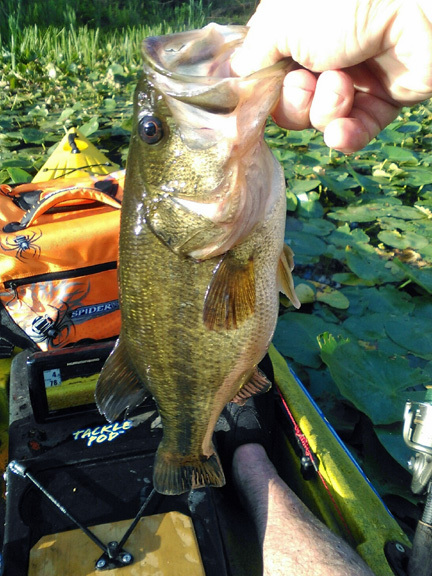 This way you can save your energy for doing what kayak fishermen love to do - catch fish. If you do any reviews of kayak carts, you will see that this one is at the top. This model C-Tug comes with original wheels. 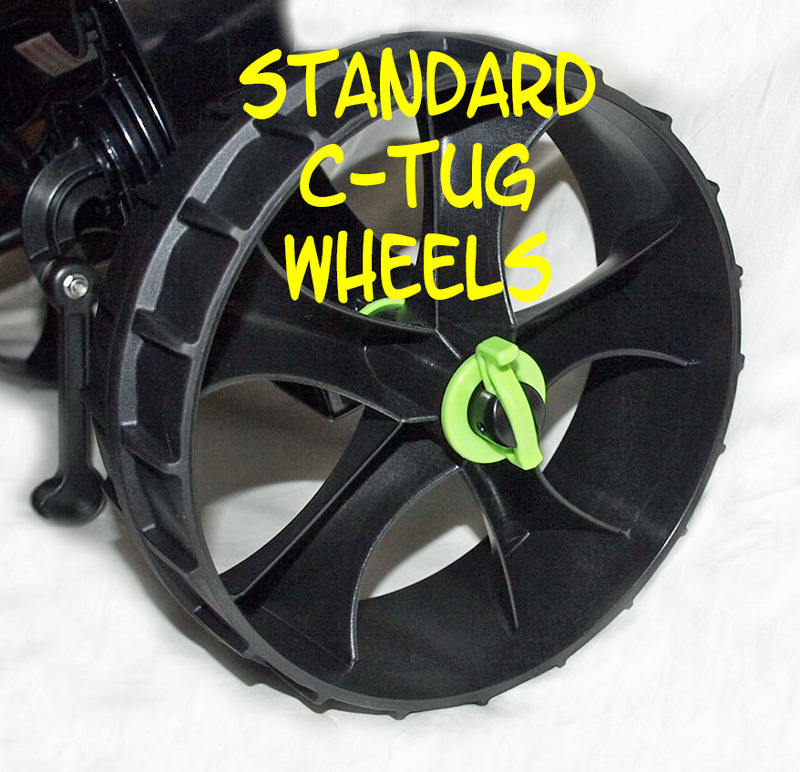 (The C-Tug also comes with Sand Wheels). If you expect to be pulling the cart over loose sand then the C-Tug Kayak Cart with SandTrakz Wheels (sand wheels) is what you need. 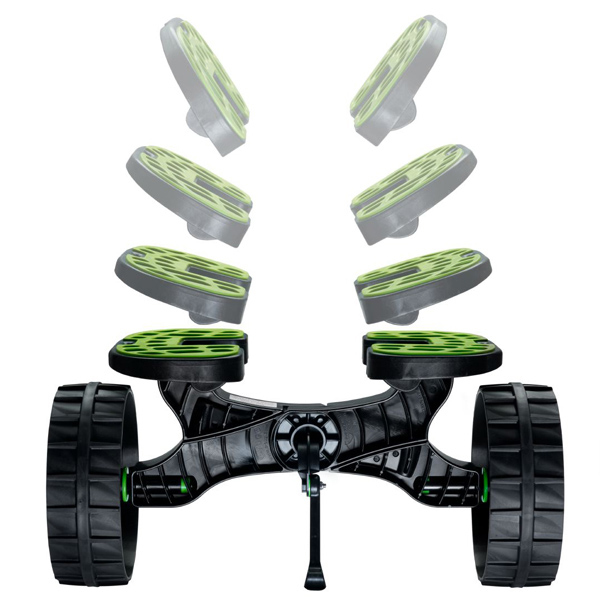 The sandtrakz wheels lengthen the wheel surface on loose sand and is a tremendous benefit. You can purchase the cart with Sand Wheels or you can purchase the sand wheels separately. 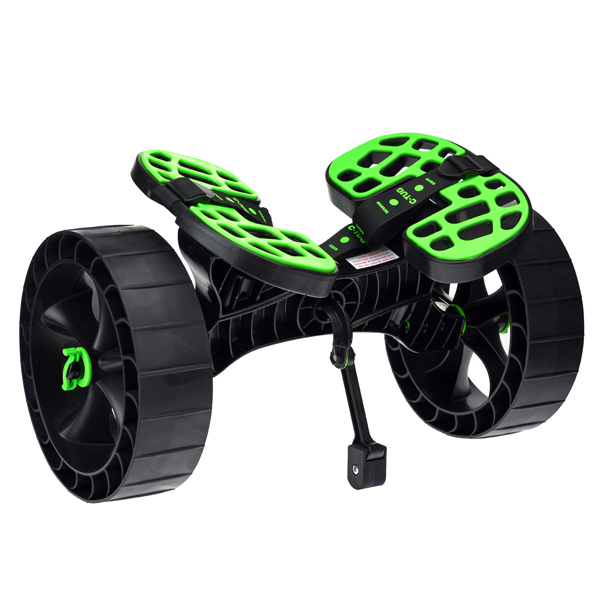 The wheels are interchangeable and can be taken off and put on in seconds. You only need one cart per kayak, but this video is designed to show how much the C-Tugs can take. It is not recommended that you try this.